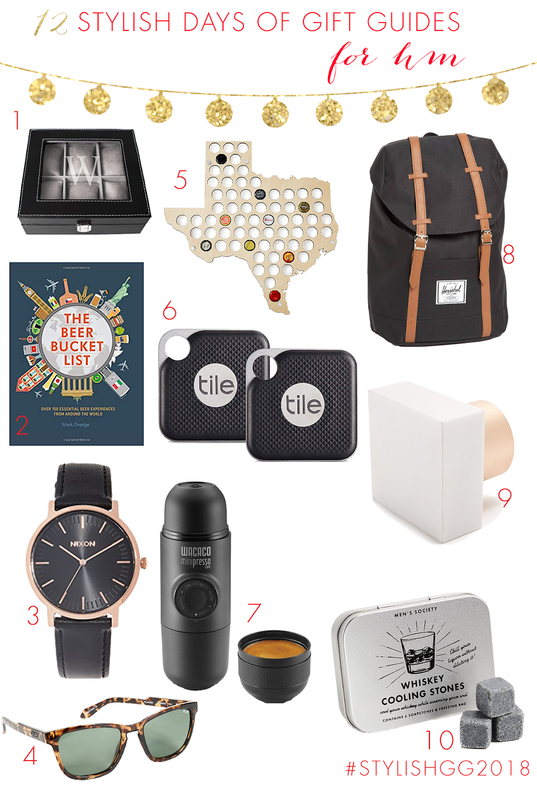 It's a new a new week and that means more gift guides! Today's is a highly requested one, I did a poll on Instagram and so many of you said the same thing, what do I get him?! Shopping for your dad, brother, significant other can be hard since men are not as open as to what they want and vocalizing it. Shopping for my dad, for example, is the hardest thing ever and no matter how many times I ask him what he wants, he has the same answer, I don't need anything. Well, rest assured I have got you covered with all the best gifts for that man in your life who always gives you that same answer! Remember to follow along on social media using #StylishGG2018! You can also access all of the items I share each day in the "Holiday" tab at the top of the page and under "Gift Guide Shop" as well as each gift guide under the "Gift Guides" tab! Happy Shopping!